Leaving the lodge for a drive a bit later than usual we were first looking for our dominant male Lion. 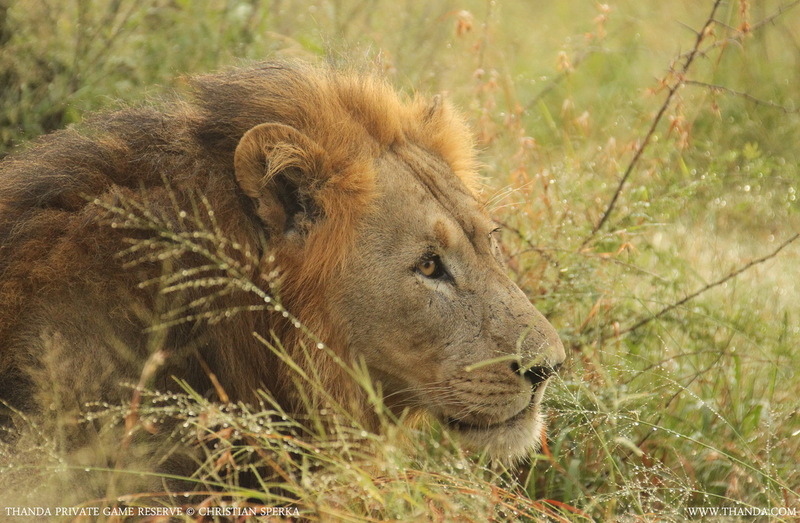 He had been sighted not far away from the Thanda Safari Lodge so we thought this would make a perfect first encounter of the day. 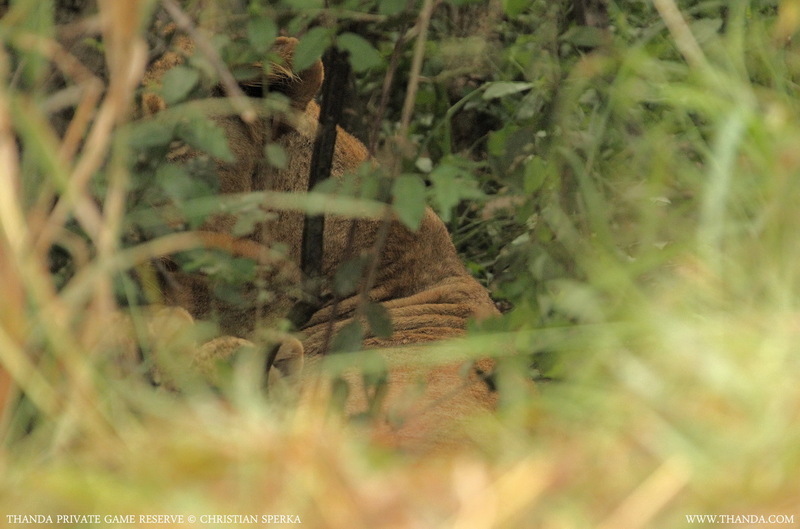 After we had a good look at this large cat, Bheki, one of Thanda’s expert trackers, suggested to have a closer look into a nearby drainage line. He had spotted some movement as I was turning the vehicle to leave the sighting. 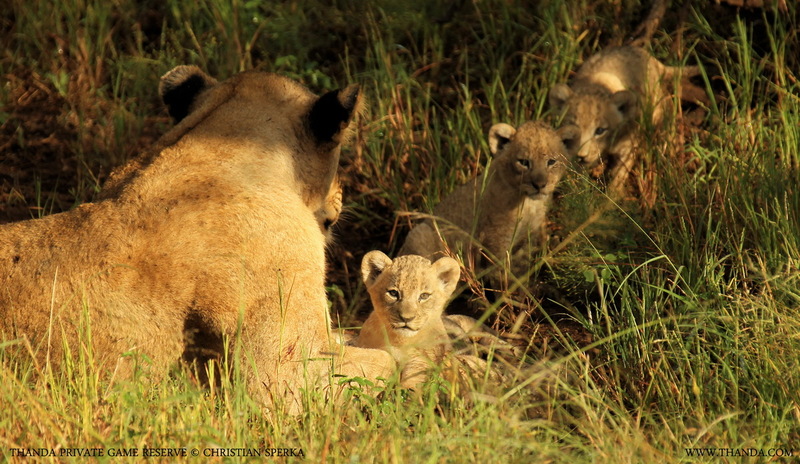 And trough the thick bush we saw not only one of Thanda’s North Pride females but also her very small new cubs. Keeping a respectful distance we made our way slowly around the location where the Lioness was resting, to an open area on the opposite side. 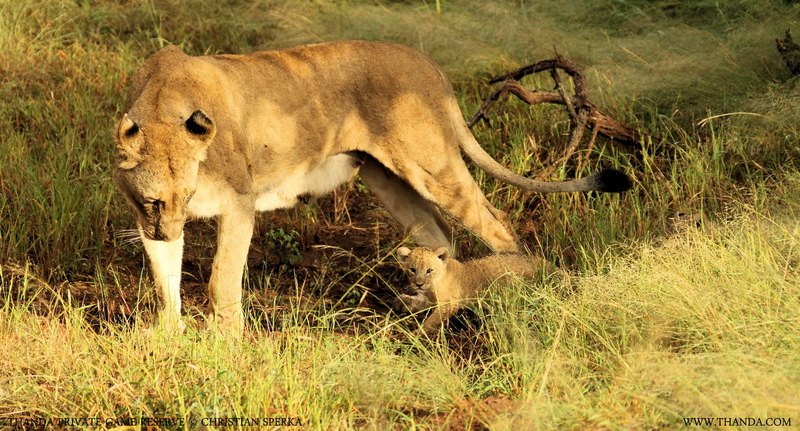 After about ten minutes of patience the Lioness decided to present her new cubs to the world. She brought them right into the open, lay down in the middle of the small pan (facing away from us, which showed how comfortable she was with our presence). 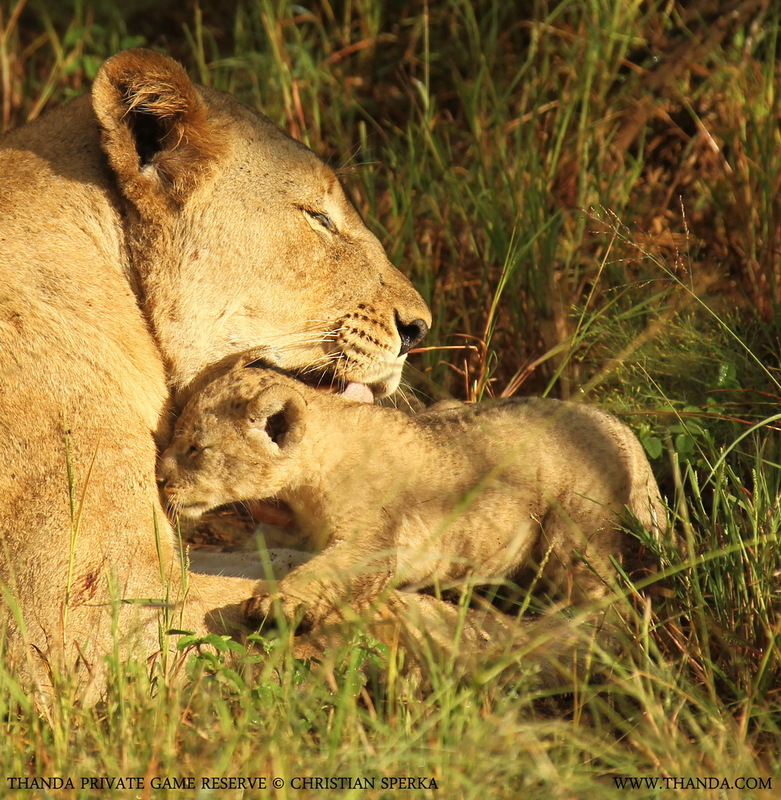 The three youngster, which we estimate to be 1.5 month old, watched us very critically as their mother was proceeding with the morning bath for the little ones. After they had a good look at this “huge green animal with the round legs and the many eyes” they disappeared back into the shaded shelter of the thicket. Mum kept enjoying the morning sun as we left the scene. My guests, Bheki and I were very happy. 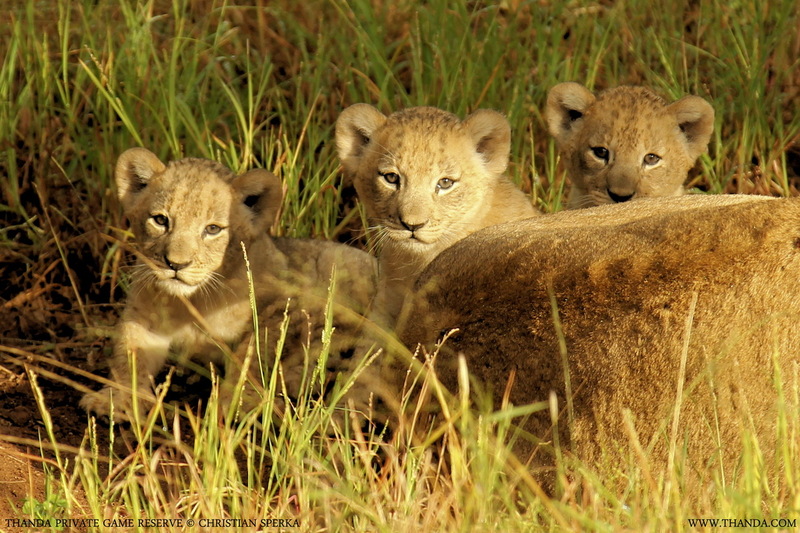 We were the first humans to set eyes on these beautiful little cats – the three newest members of the Thanda Lion family.